There has always been a great deal of discussion as to exactly which are the top golf resorts and destinations in Europe. Though there can always be arguments made for different destinations, the places on this list should definitely top your golfing bucket list. Wentworth Golf Club, located just a short drive from London, epitomizes the very best of heathland golf in England. With accommodations available in its famous crenelated clubhouse, you can explore not only Wentworth's three championship layouts but many other wonderful heathland courses in the area—Sunningdale Golf Club, Swinley Forest Golf Club, St. George's Hill Golf Club, and The Berkshire Golf Club to name just a few. Perhaps the mightiest and most famous of them all is the West Course at Wentworth, known to many as Burma Road, and the scene of many professional golfing dramas—Ryder Cups included. Provence and the Côte d'Azur have always been an essential part of any grand tour of Europe. Straddling these two great regions of France, Terre Blanche Golf Club is now an essential part of any golfer's grand tour. Le Château and Le Riou championship courses are classic undulating woodland layouts, guaranteed to test and probe every department of your game. After the golf, the onsite Four Seasons Resort Provence provides a full range of luxury facilities to soothe the body and satisfy the appetite. Just a short drive from Terre Blanche and the Four Seasons resort are the cities of Cannes and Nice as well as a host of other top-quality golf courses. Although the Ring of Kerry often wins Ireland's golfing accolades, the recent growth of golf around the nation's capital of Dublin has been spectacular. Nowhere characterizes this phenomenon more than The K Club. In the grounds of the former stately home of Straffan House, Dr. Michael Smurfit has created a world-class stay-and-play golfing venue, a venue that carved its name into the golfing annals with the 2006 Ryder Cup. Two terrific championship courses, both designed by Arnold Palmer, are the cornerstone of The K Club. which also offers luxury accommodation, spa facilities, riding, fishing, shooting, and a myriad of other activities. Italy also has a wonderful array of top-quality stay and play golf resorts. Perhaps best of them is Poggio dei Medici Golf Resort (The Hill of the Medici). Excellent food, accommodation, and spa facilities are complemented by a terrific golf course, designed by one of Italy's golfing greats: Baldovino Dassu. The Tuscan countryside elegantly wraps itself around the course, with castles, villages, pine trees, and cypresses all in view. If you can tear yourself away from the golf, one of Italy's most stunning cities—Florence ( Firenze)—is just a 30-minute drive to the south. 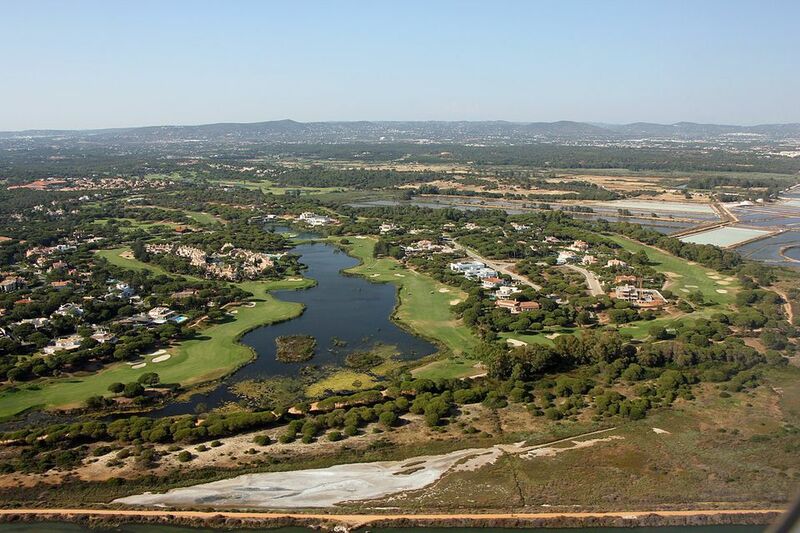 San Lorenzo is arguably the best golf course in Portugal, and superbly located to allow you to delve into the other golfing treasures in Quinta do Lago, neighboring Vale do Lobo, and further along the Algarve coast. With beautiful views across the Ria Formosa lagoon and out onto the Atlantic, San Lorenzo will test and probe your game in a wonderful scenic environment. Along the way, you will glimpse some impressive real estate—home to some of Europe's leading stars of stage and screen, as well as a football field and Formula 1 race track. There is nowhere in the golfing world quite like it— and nowhere quite as old as St. Andrews, which is without a doubt the home of golf. If you don't get to play on the revered Old Course, there are six other wonderful links courses within a few minutes' walk and the likes of Kingsbarns Golf Links, Ladybank Golf Club, and even Gleneagles are not so far away. Scotland is full of legends, and in golfing terms, they come no bigger than Trump Turnberry. From the stunning and immensely scenic Ailsa course, you will enjoy many fine views of the mighty Atlantic and across to the Ailsa Craig rock. Famous for its lighthouse and for Jack Nicklaus and Tom Watson's "duel in the sun" at the 1977 British Open, the Ailsa course has an equally scenic companion in the Kintyre course. With its Colin Montgomerie Links Golf Academy, top-quality spa facilities, and the best view from any restaurant in Scotland, the golf resort's glowing reputation is known the world over. The San Roque Golf Club boasts two excellent and very testing championship layouts. Just ask the budding professionals who have attended the home of the European Tour's qualifying school. Also on the premises is an excellent Japanese restaurant named Kamakura SUSHI and top-quality villa-style accommodations. Stay at San Roque and benefit from preferential rates at other fabulous golf courses on the western Costa del Sol, not least Valderrama and Sotogrande. As the host of the Ryder Cup in 2010, Celtic Manor is the top stay-and-play golf location in Wales and now home to three great championship courses. The aptly named Twenty Ten course sits in the picturesque Usk River valley, a course designed to test many of the world's best golfers, as well as to provide the amateur golfer with a challenging and thoroughly enjoyable round. Celtic Manor's Roman Road and Montgomerie layouts also give wonderful views onto the surrounding Welsh hills, down into the valley and away across the Severn estuary to England in the distance beyond. Other notable South Wales courses such as Royal Porthcawl Golf Club and Southerndown Golf Club are also close at hand, while a short drive will take you further along the South Wales coast to the delights of Pennard Golf Club, Machynys Peninsula Golf Club, and Tenby Golf Club.